MARICOPA COUNTY, AR (10/28/14) – Sheriff Joe Arpaio of Arizona, labeled, America's Toughest Sheriff, is spotlighted in my upcoming book, Angels Unawares-4 Legged Ones, with the subtitle, What The Church Didn't teach me I Learned From my Poodle. Why would this sheriff who has been demonized by the ACLU for his harshness on criminals and illegal aliens be respectfully honored in my book? For good reason. Sheriff Arpaio has a very soft and tender side when it comes to animals, creating a 'No Kill" animal shelter in an abandoned prison and pairing prisoners with the rescued dogs, which has not only saved thousands of animals, but has had an amazing affect on the prisoners who have bonded with them. This has had more positive affect on the inmates than all the social programs combined. 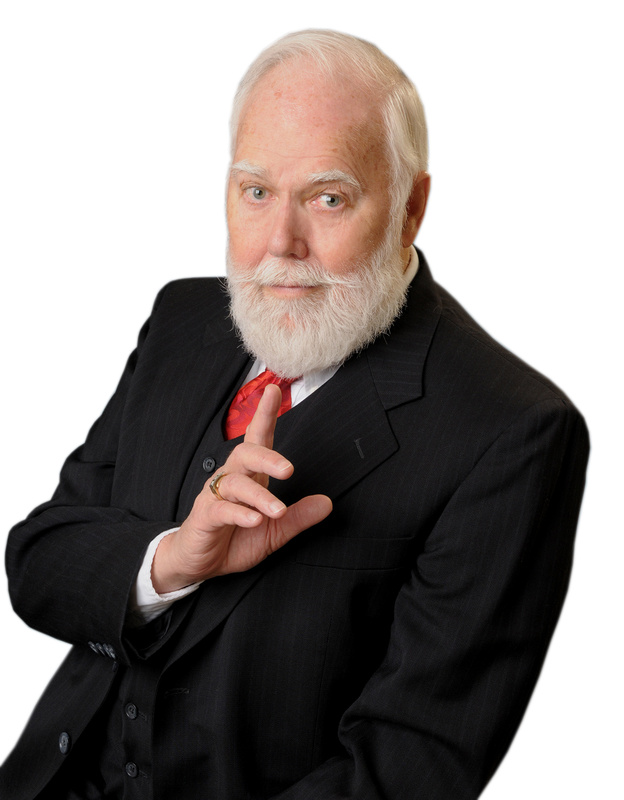 Contributor Helen Trautman, CEO of Results Unlimited, a speakers bureau in Pittsburgh, alerted us to more information about the Sheriff from someone that has dealt with him and forwarded it to us: Now you will understand why he is in my book. You may remember Sheriff Joe Arpaio of Arizona, who painted the jail cells pink and made the inmates wear pink prison garb. Well.........SHERIFF JOE IS AT IT AGAIN ! Oh, there's MUCH more to know about Sheriff Joe ! The prisoners get the benefit of about $0.28 an hour for working, but most would work for free, just to be out of their cells for the day. Most of his budget is for utilities, building maintenance, etc. He pays the prisoners out of the fees collected for adopted animals. He has a pretty good sized hog farm, which provides meat and fertilizer. It fertilizes the Christmas tree nursery, where prisoners work, and you can buy a living Christmas tree for $6 – $8 for the holidays and plant it later. We have six trees in our yard from the prison. Yup, he was re-elected last year with 83% of the vote. Now he's in trouble with the ACLU again. He painted all his buses and vehicles with a mural that has a special hotline phone number painted on it, where you can call and report suspected illegal aliens. Immigrations and Customs Enforcement wasn't doing enough in his eyes, so he had 40 deputies trained specifically for enforcing immigration laws, started up his hotline, and bought 4 new buses just for hauling folks back to the border. He's kind of a 'Git-R-Dun' kind of Sheriff. TO THOSE OF YOU NOT FAMILIAR WITH JOE ARPAIO.. 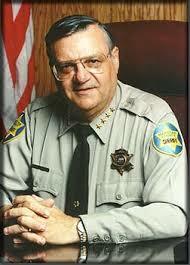 HE IS THE MARICOPA ARIZONA COUNTY SHERIFF AND HE KEEPS GETTING ELECTED OVER AND OVER. ** Cut off all but 'G' movies. ** Then he started chain gangs for women so he wouldn't get sued for discrimination. ** He took away cable TV until he found out there was a federal court order that required cable TV for jails, so he hooked up the cable TV again.....BUT only let in the Disney channel and the Weather channel. ** When asked why the weather channel, he replied, "So they will know how hot it's gonna be while they are working on my chain gangs." ** When the inmates complained, he told them, "This isn't The Ritz/Carlton...... If you don't like it, don't come back." "It feels like we are in a furnace," said James Zanzot, an inmate who has lived in the tent city for 1 year. "It's inhumane." Joe Arpaio, the tough-guy sheriff who created the tent city and long ago started making his prisoners wear pink and eat bologna sandwiches, is not one bit sympathetic. He said Wednesday that he told all of the inmates, "It's 120 degrees in Iraq and our soldiers are living in tents too, and they have to wear full battle gear, but they didn't commit any crimes, so shut your mouths!" Way to go, Sheriff ! Maybe if all prisons were like this one there would be a lot less crime and/or repeat offenders. Criminals should be punished for their crimes – not live in luxury until it's time for their parole, only to go out and commit another crime so they can get back in to live on taxpayers' money and enjoy things taxpayers can't afford to have for themselves. Our thanks to Helen Trautman for spotting and sending this info.